Get a quick expert opinion on any signed item. Movies / TV / Music / Sport / History / Documents / Collectors cards, etc. We often get asked for our expert opinion on items in collections, or ahead of buying at auction. We have many years experience in autograph authentication. We will supply paypal instructions once email received with photo. We need to see the item first, as we need to confirm photos are clear etc. We can always advise on further 3rd party services available, if extra specialists needed. 2) We will confirm that we can go ahead, and will send instructions to pay by paypal. 3) We will get back to you asap, with a quick analysis, and final opinion. "Likely Genuine" - OR Likely "NOT Genuine". Please note: This is a quick opinion service only. We try to get back within a few hours. Every authentication is like an individual detective investigation. We will check provenance, autograph formation, flow, slant, & check authentic sample databases. Is it autopen, pre-print / Secretarial etc ? We also quickly check the dealer history, to see if selling genuine items. It can be a minefield. 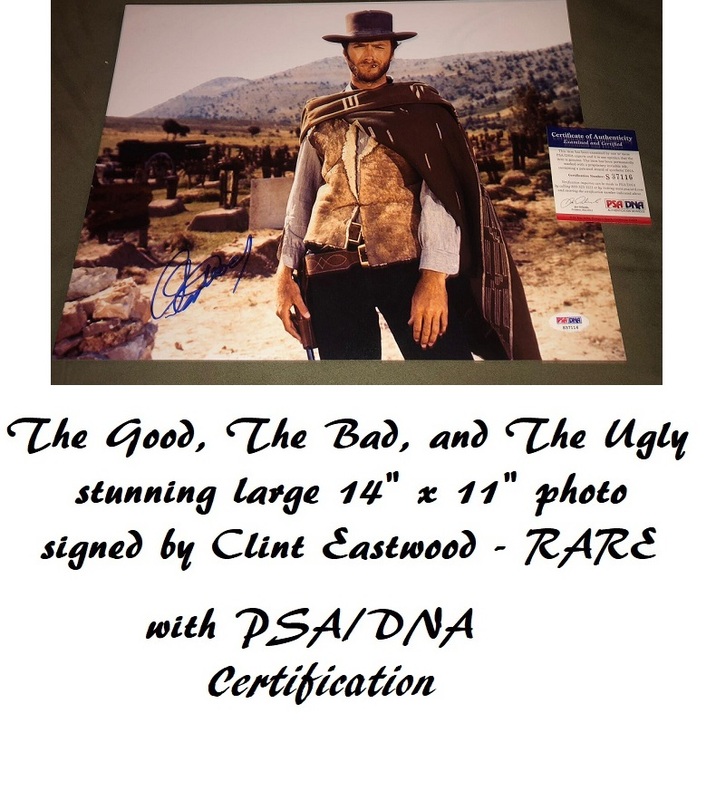 (eg most ebay Clint Eastwood autographs for sale are secretarial or fake. Many NASA signed photos are autopen etc). Disclaimer: We cannot guarantee 100% that an item is genuine without seeing it signed in person. This is a quick service to help you with purchasing decisions ! We have had many satisfied customers who have avoided buying fakes ! *** The only trade associations that are accepted as being of any worth are the UACC (as a Registered Dealer only, not just a member*) AFTAL, or PADA. which once had a list of approved dealers on its site, put together entirely by experienced collectors. Unfortunately the ACAF has been disbanded as they were mainly based on ebay, and ebay did not like them so they removed their forum! list of the relevent association.